The OK Factor, a cello-violin duo, will offer a break from Finals Week and help welcome in the holiday season with a Tuesday, Dec. 11, free performance from 11 a.m. to 1 p.m. in the Centennial Student Union Hearth Lounge. Free hot chocolate will be available in the Hearth Lounge while supply lasts. 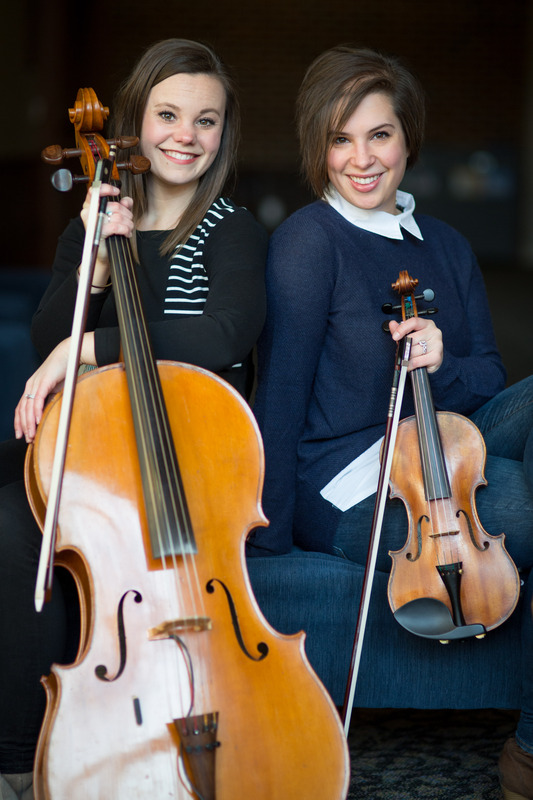 As part of the CSU Finals Week Stressbusters, the CSU Serendipity Music Series performance features Olivia Diercks and Karla Colahan, cellist and violinist performing a unique “genre-bending” string performance that the duo labels as new-classical crossover. The ease with which they write and perform has caught the attention of the Minnesota music community where they were named finalists for the prestigious McKnight Fellowships for Musicians in 2018. The duo returns for their second December StressBusters performance after a 2017 Serendipity Music Series debut that featured their newly-released holiday CD entitled Have Yourself An OK Christmas. This year’s performance comes as the duo prepares to release their fourth CD – Love, The OK Factor – offering a selection of lullabies and love songs.